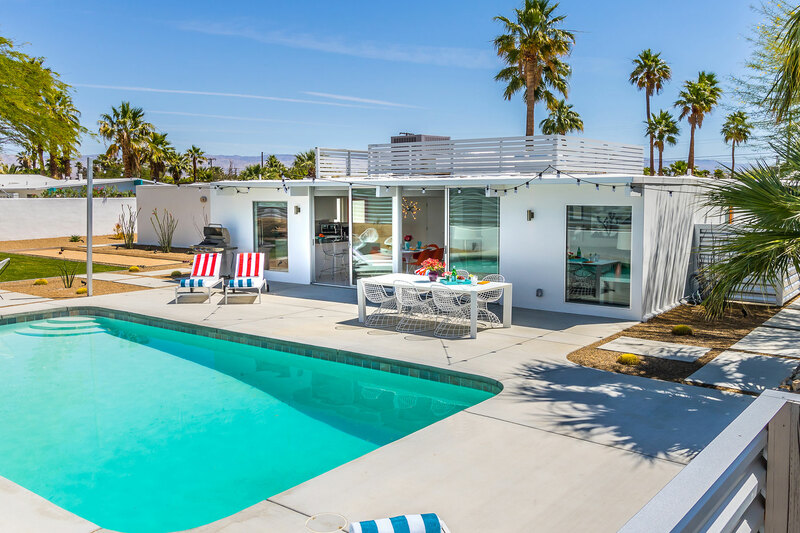 The Perfect Escape to Palm Springs. 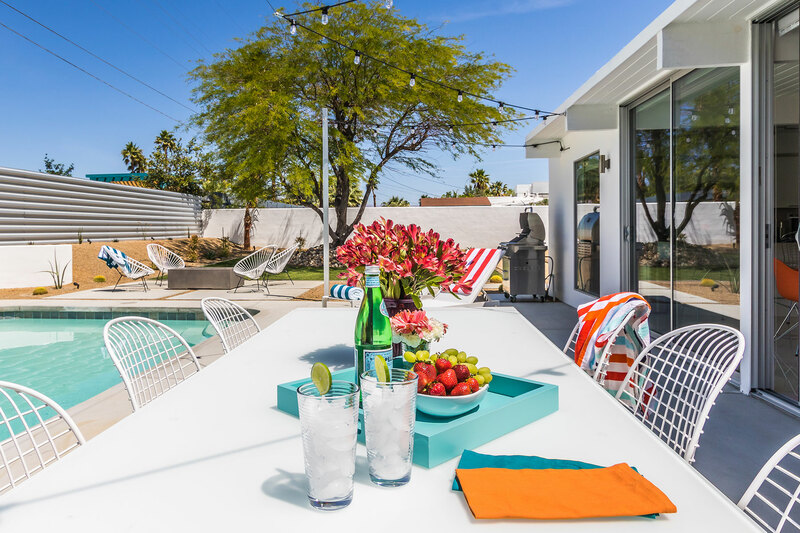 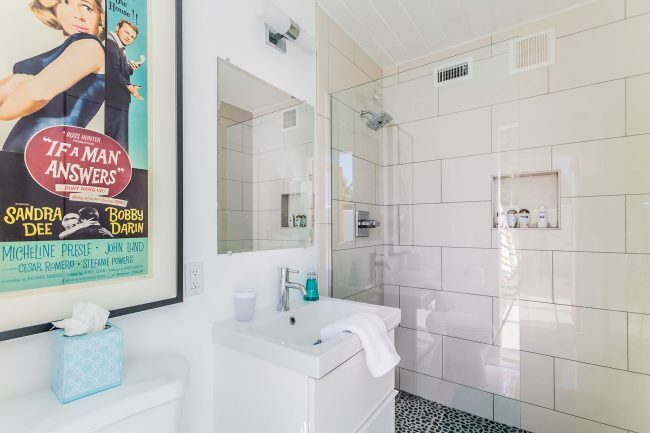 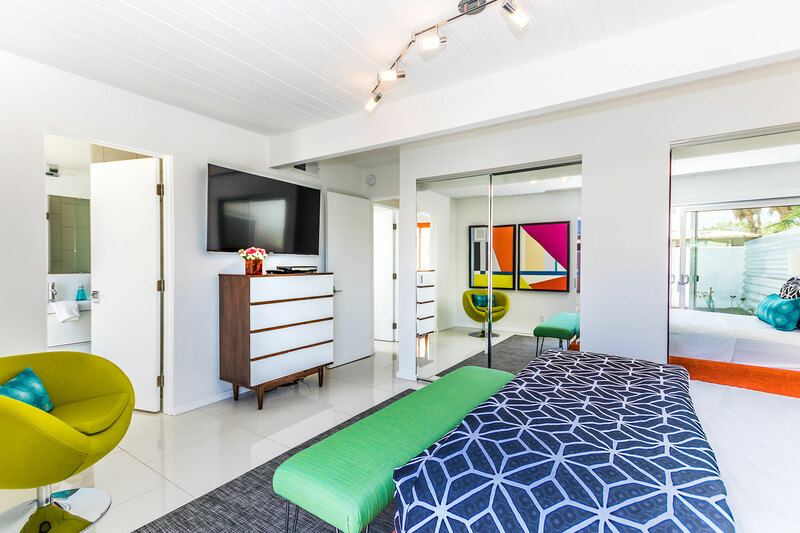 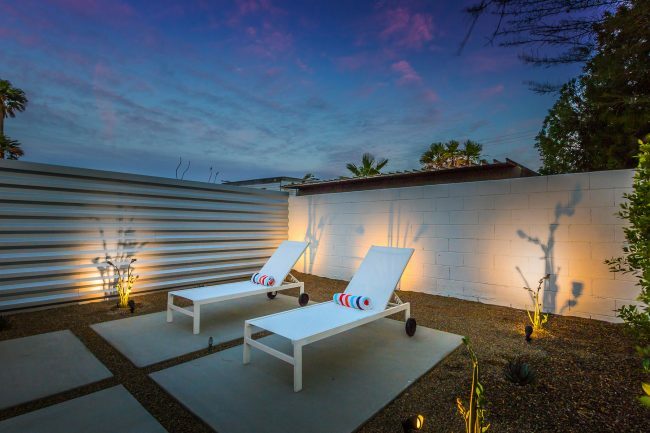 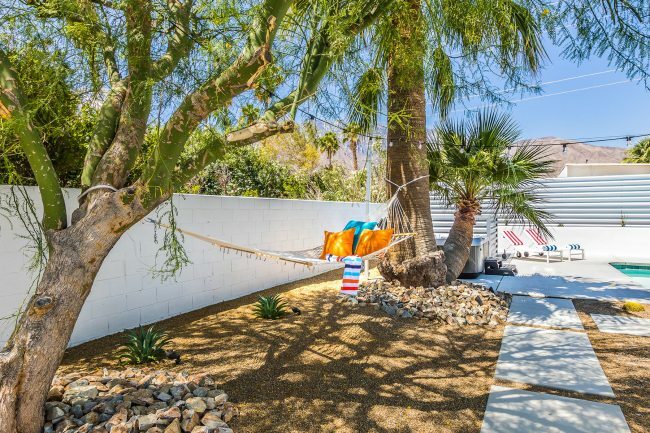 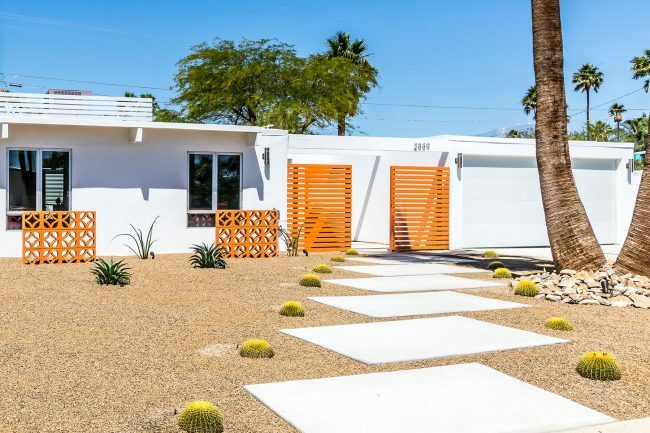 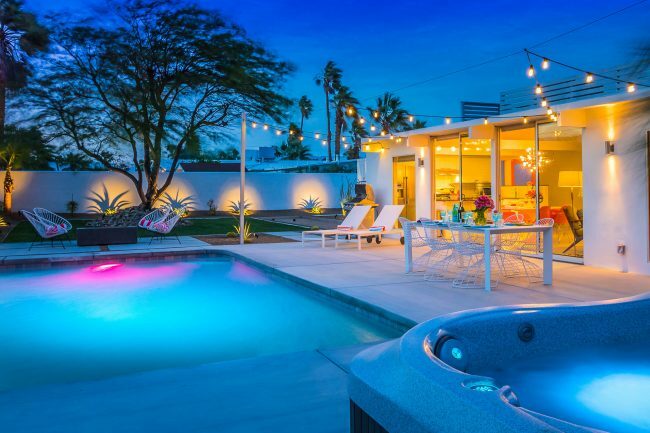 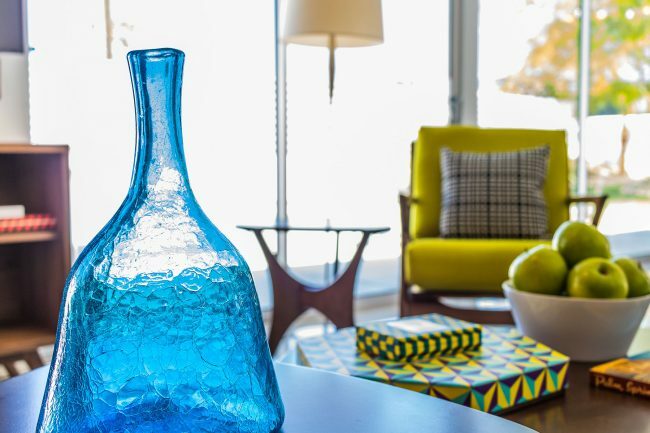 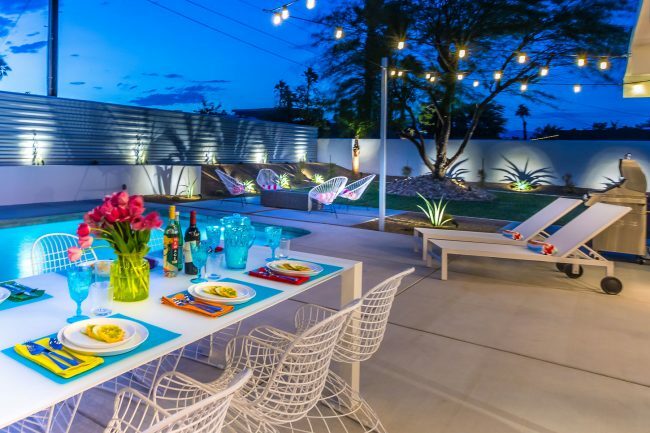 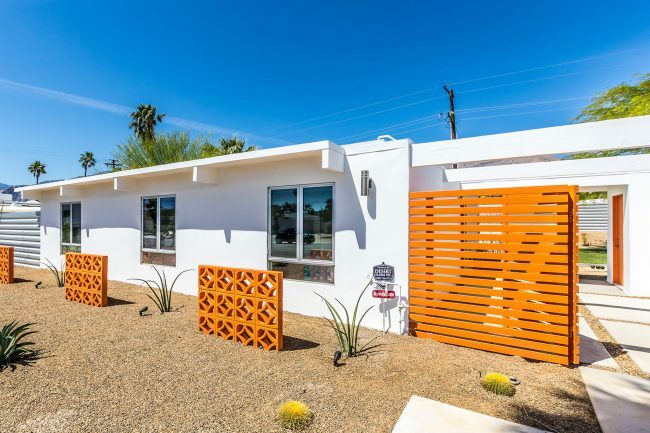 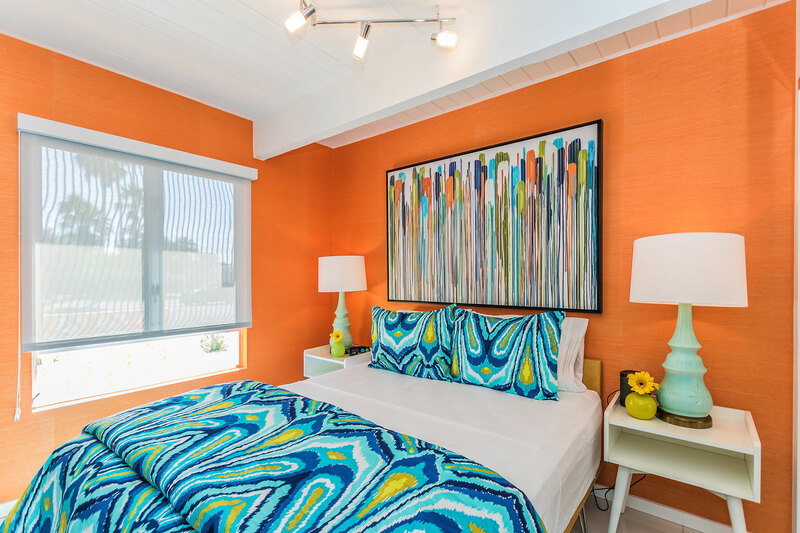 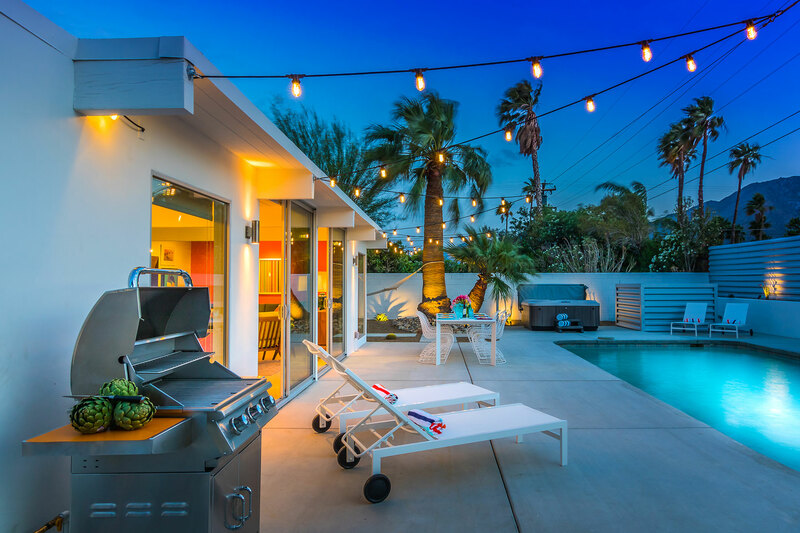 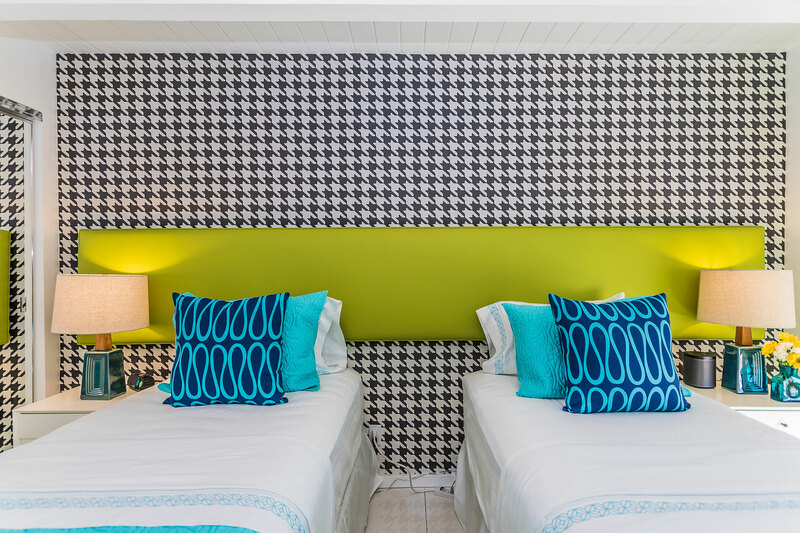 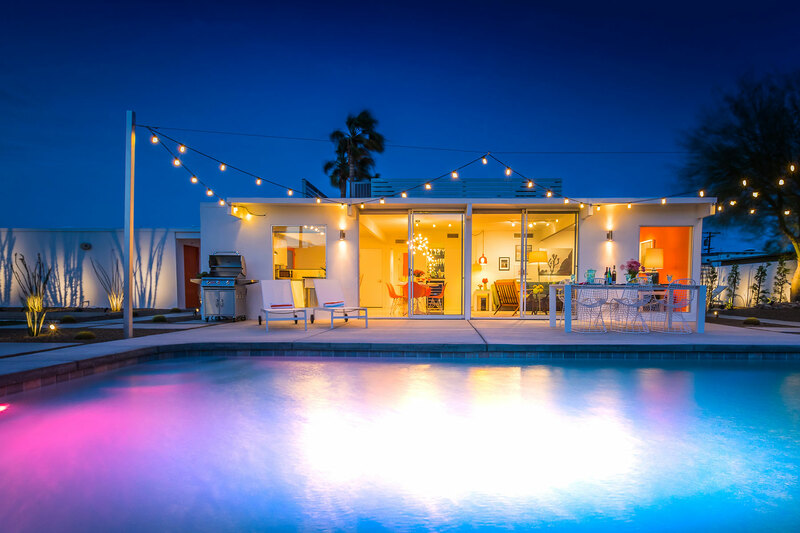 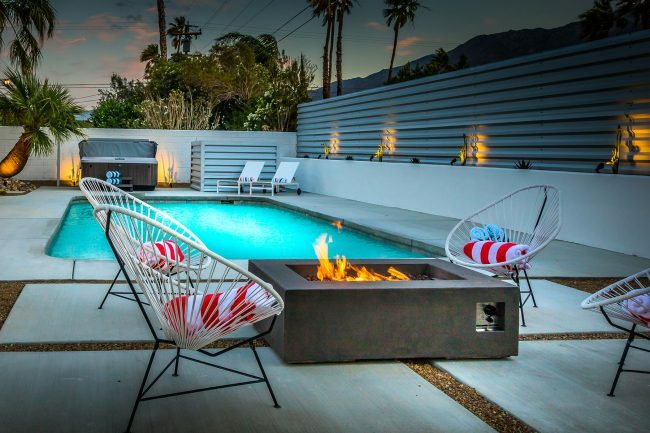 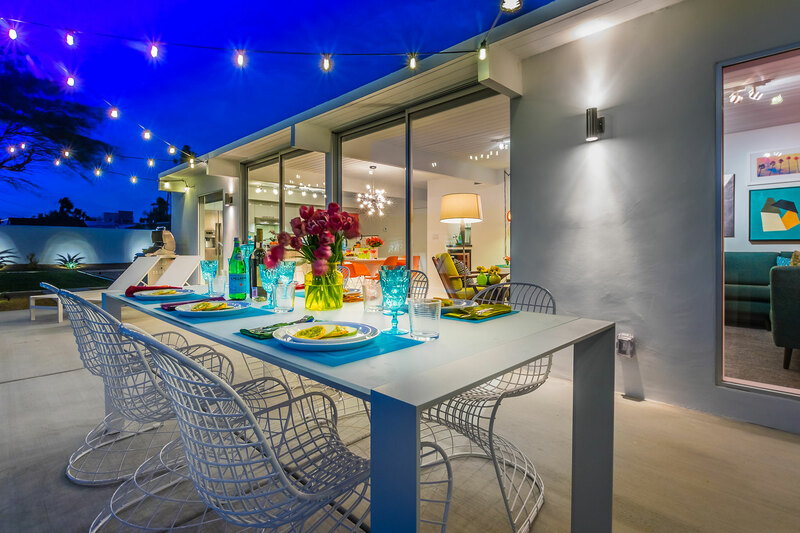 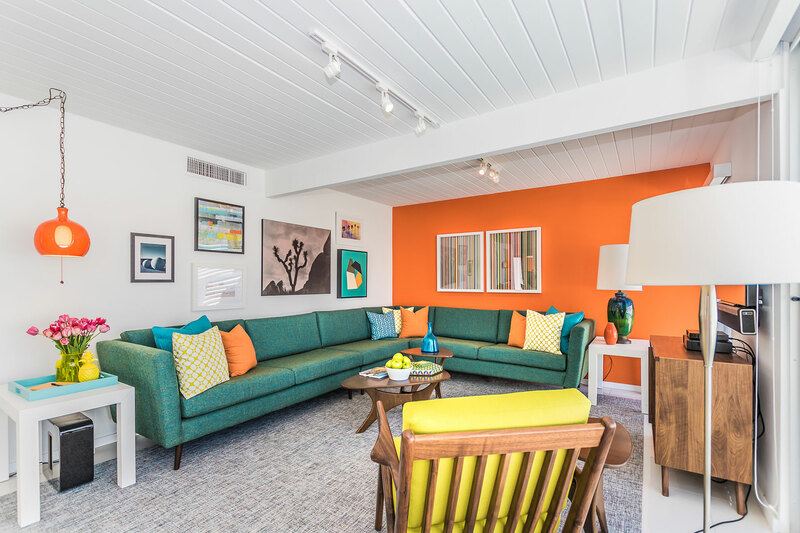 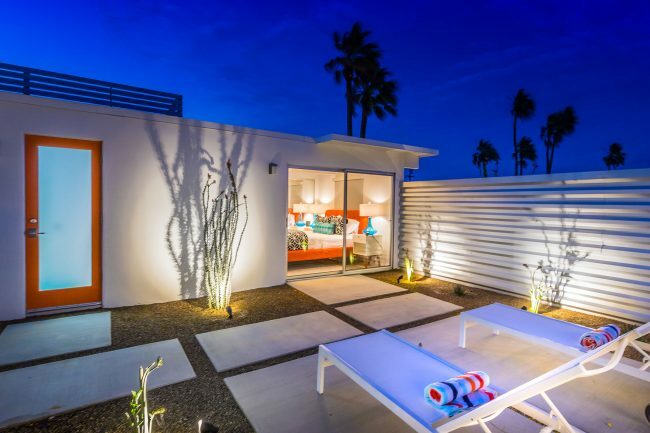 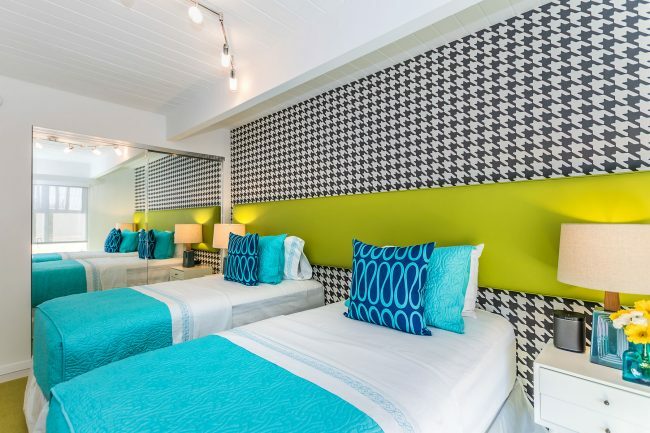 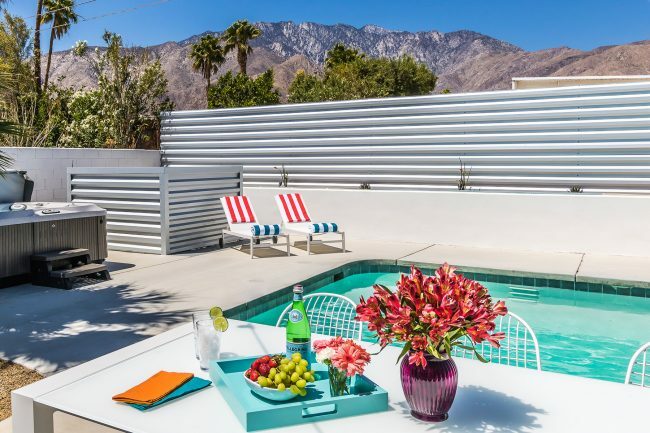 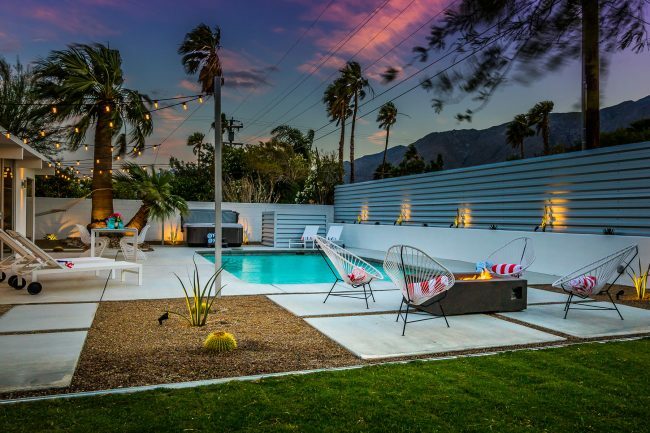 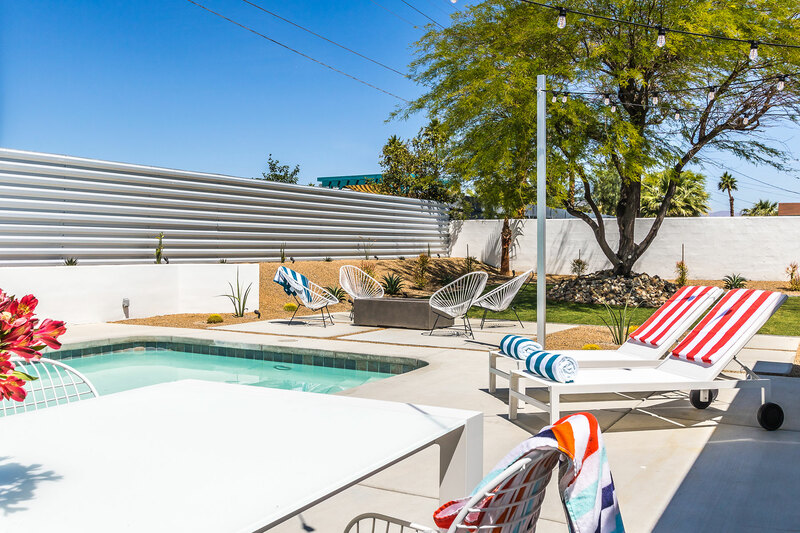 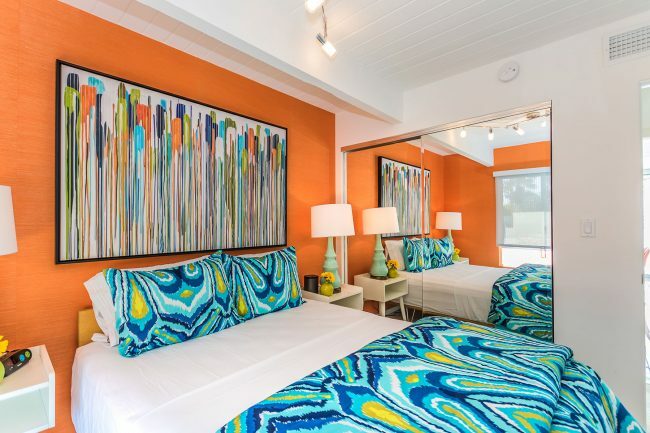 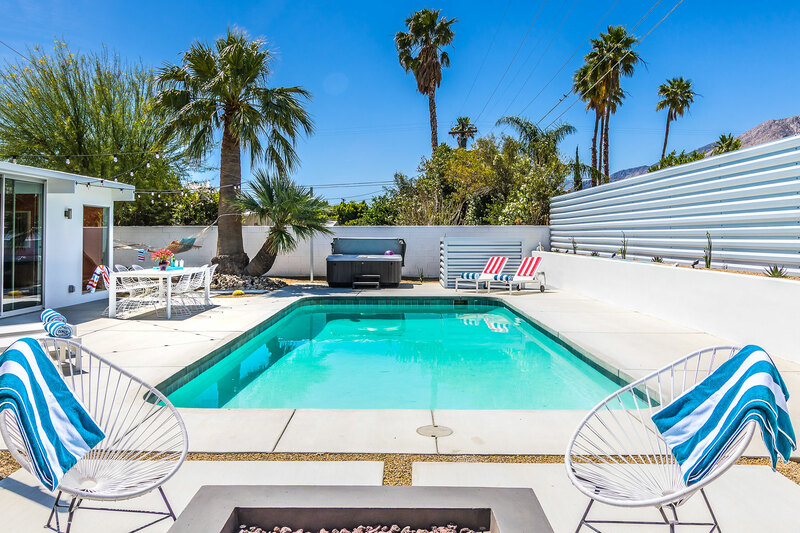 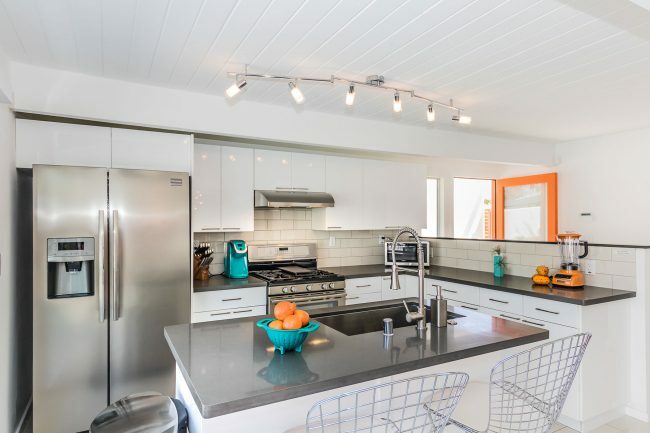 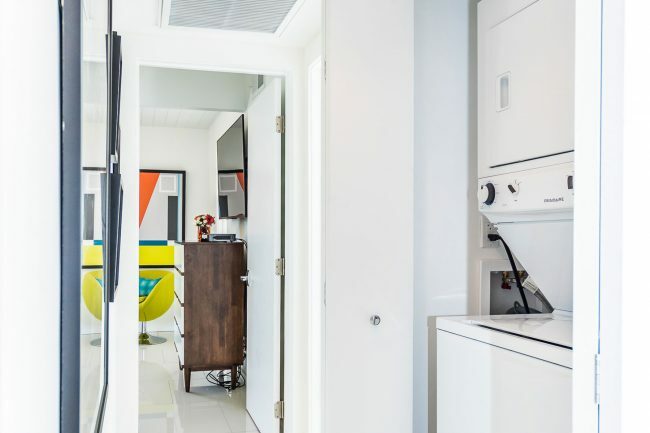 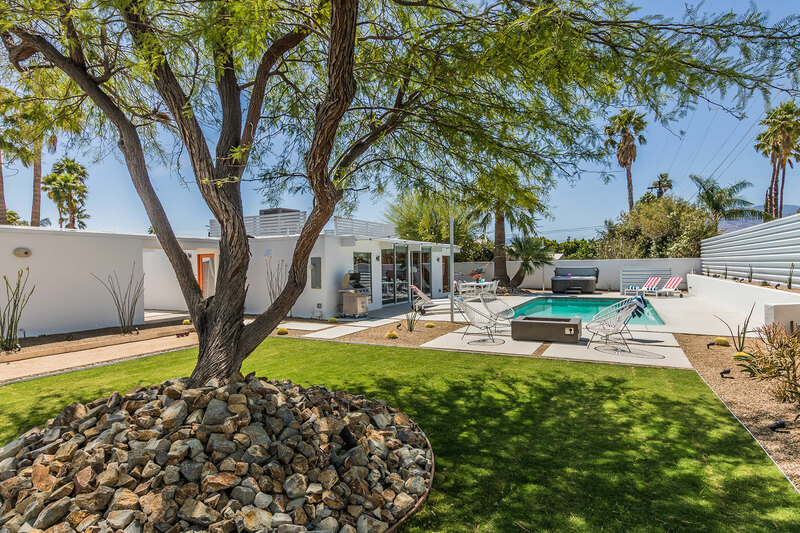 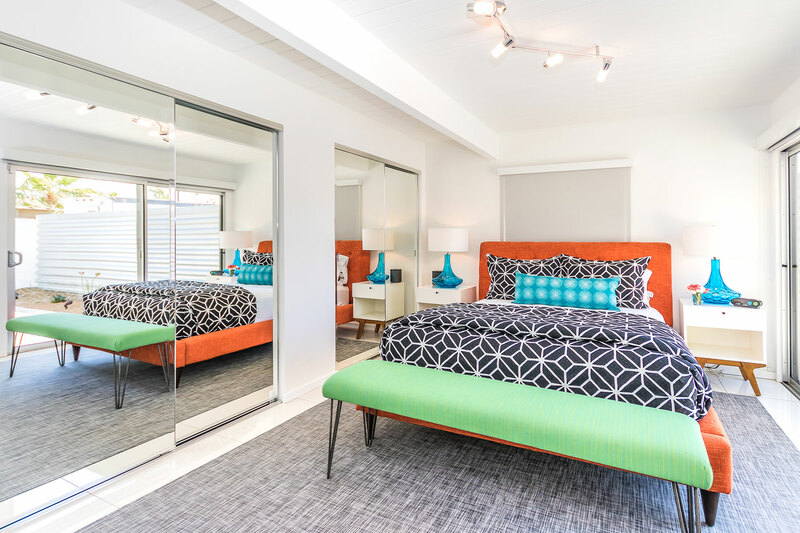 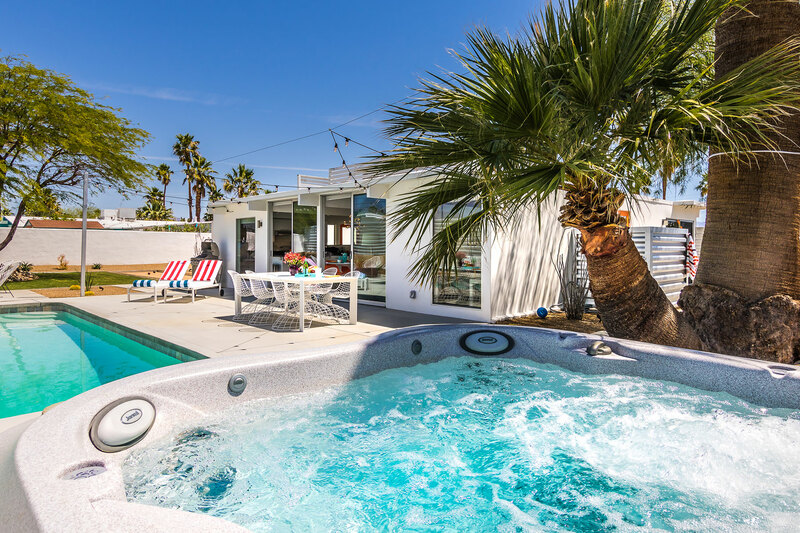 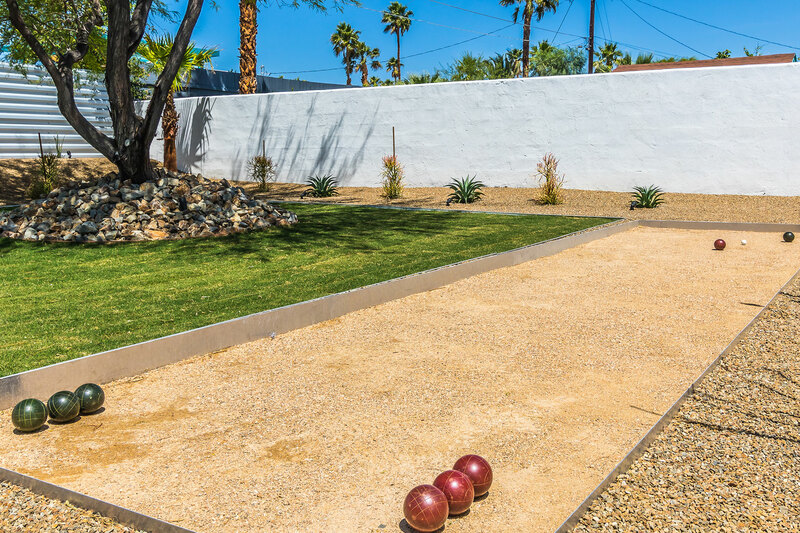 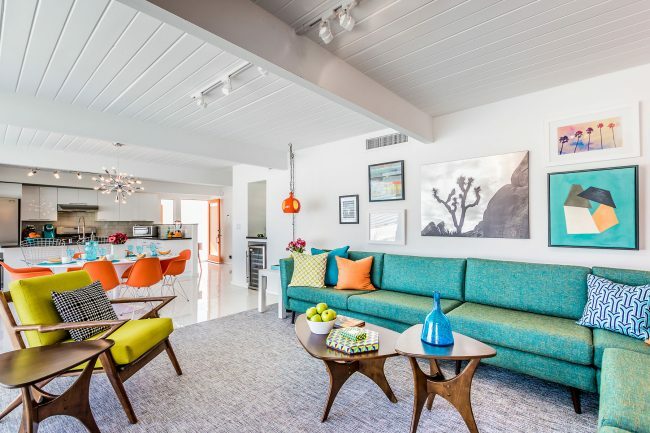 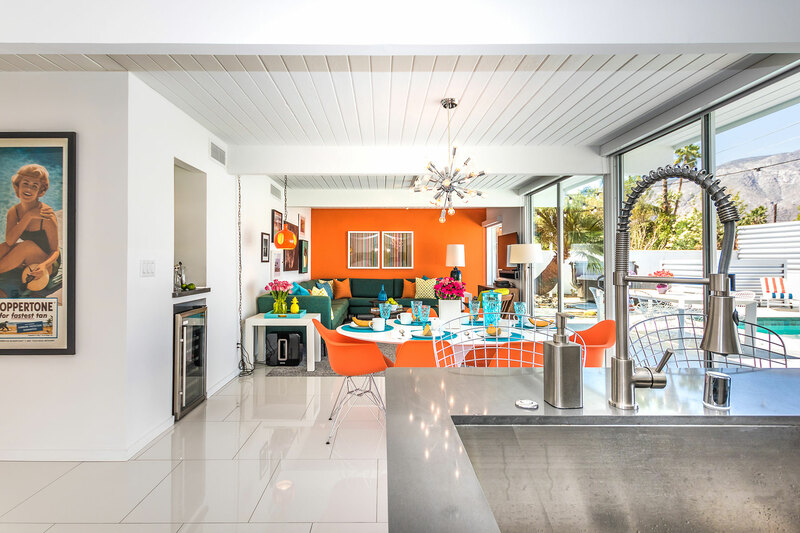 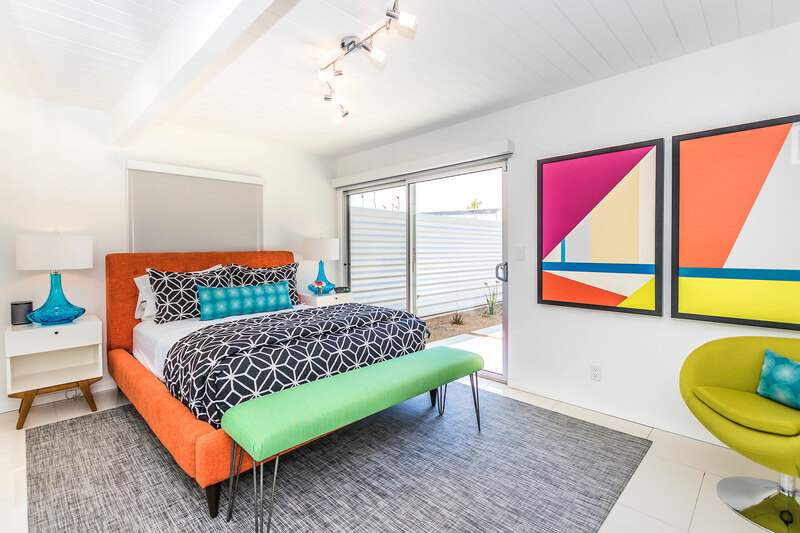 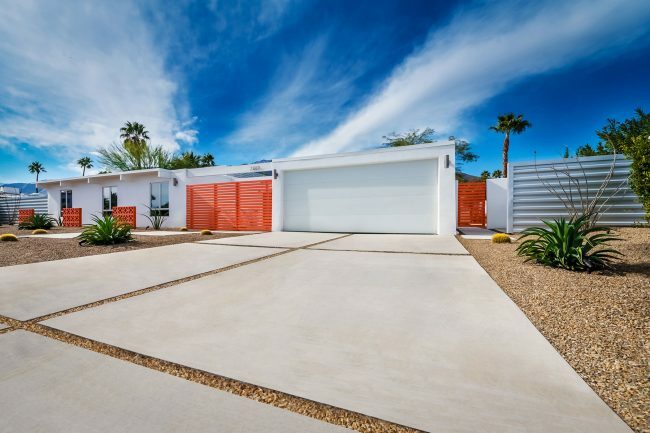 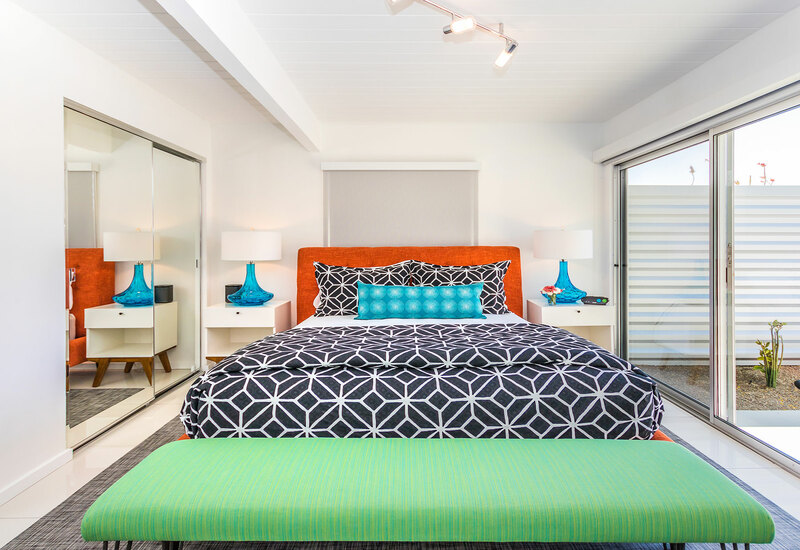 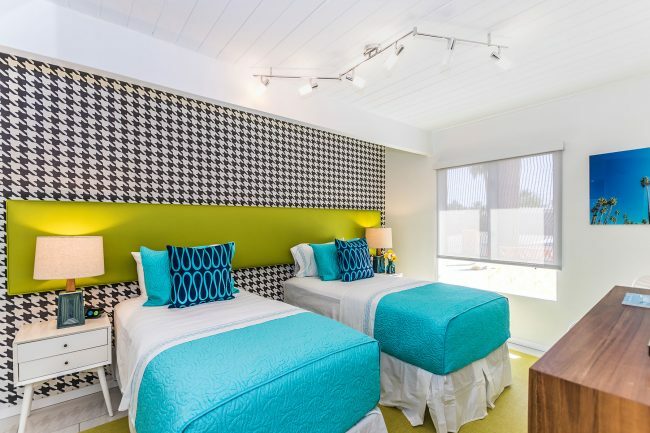 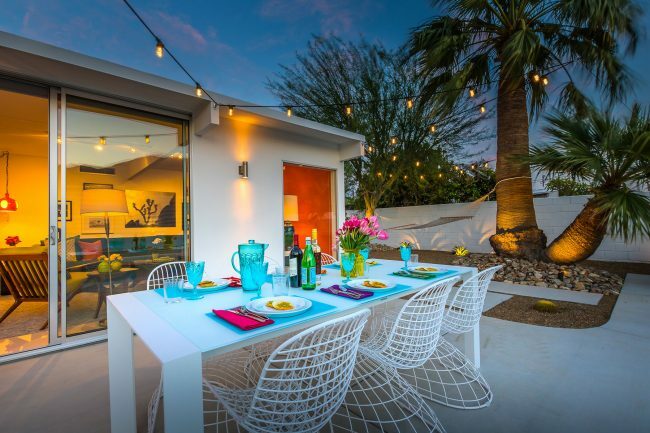 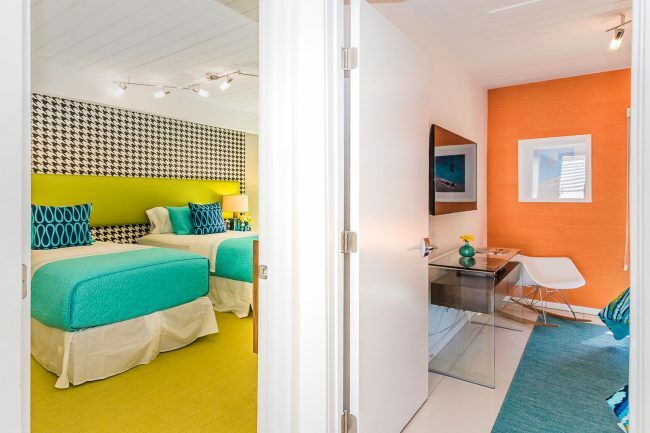 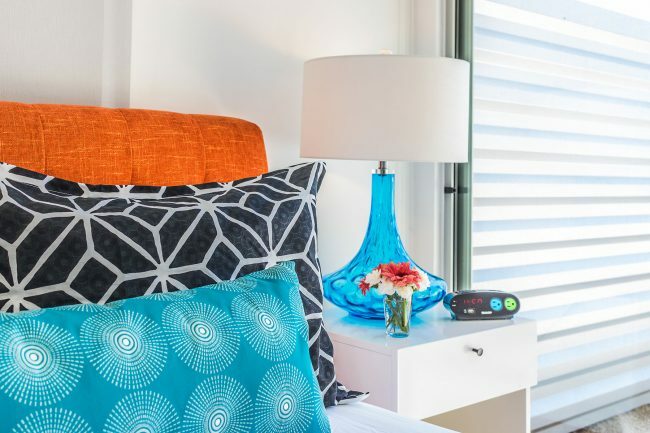 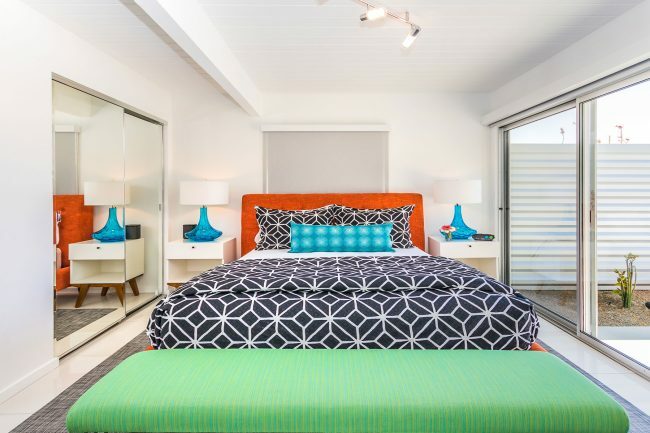 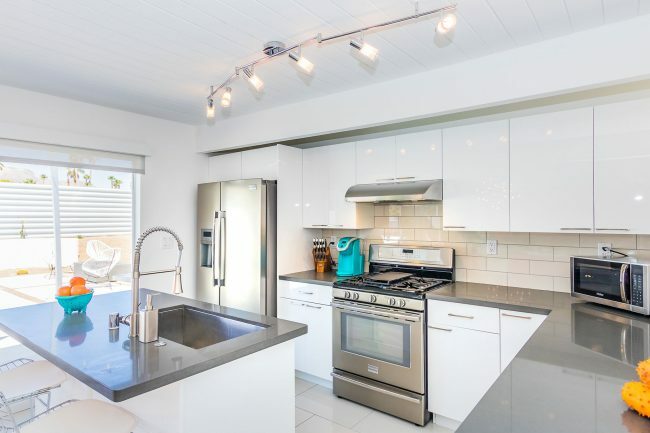 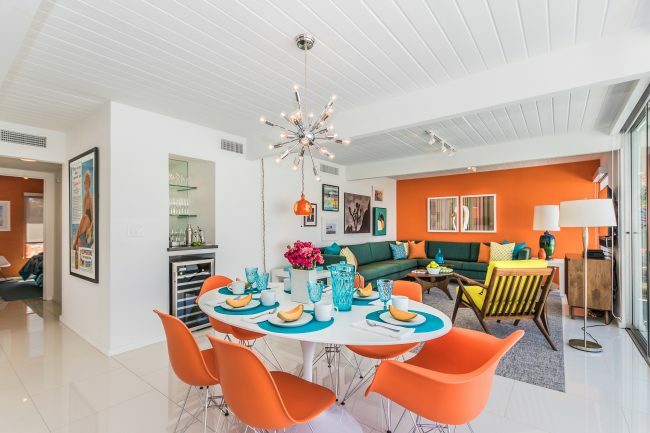 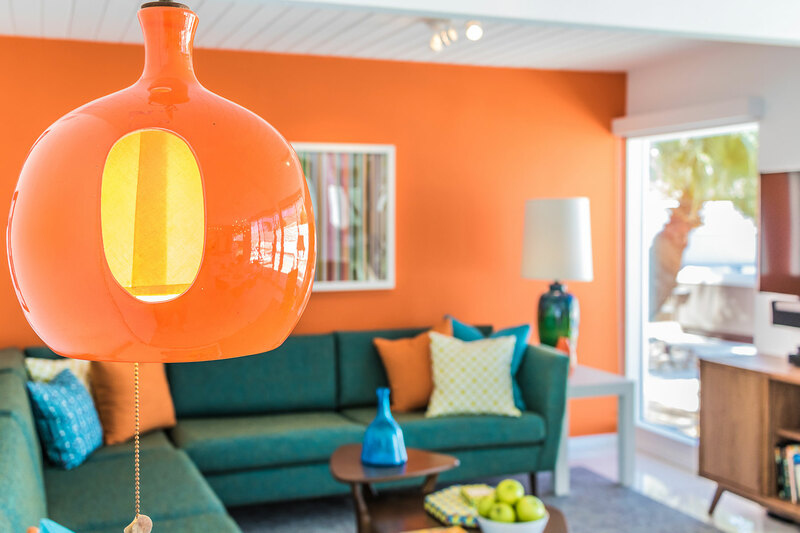 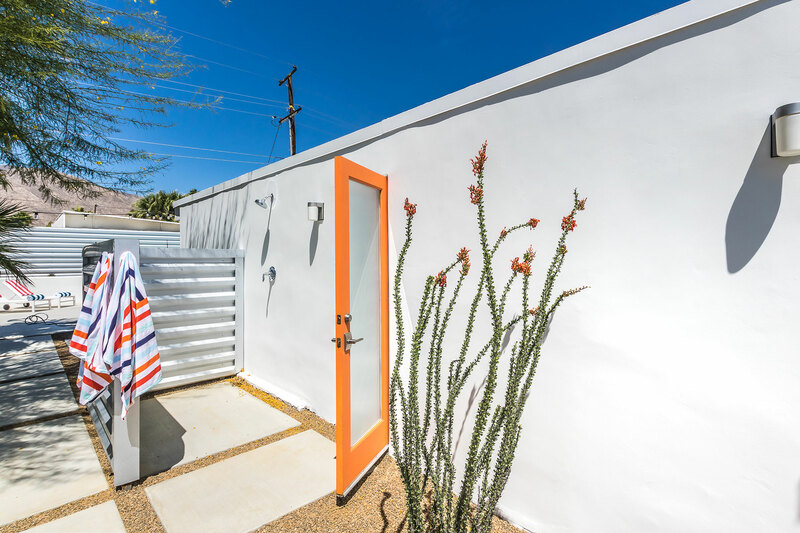 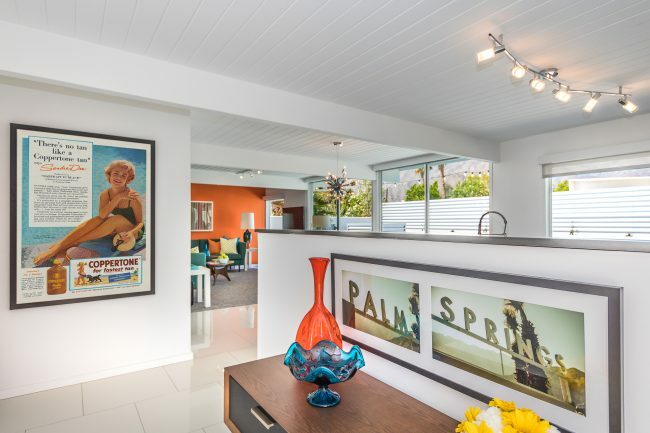 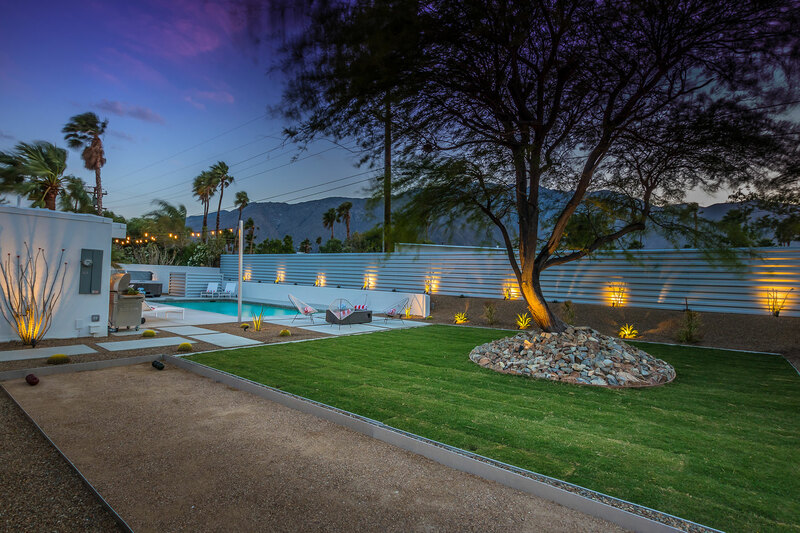 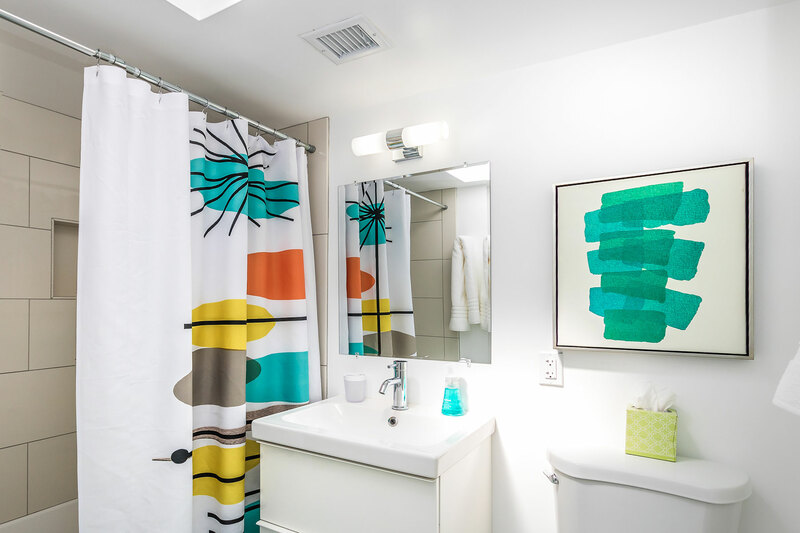 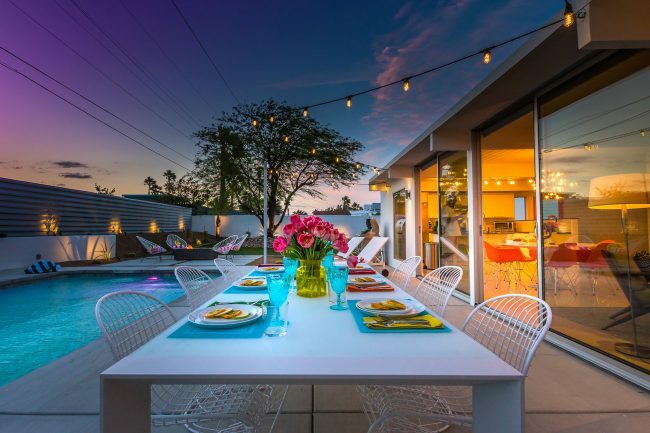 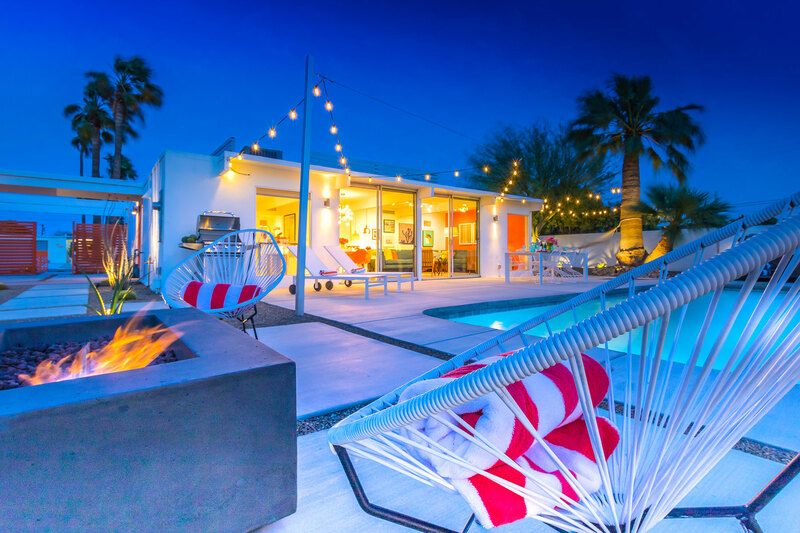 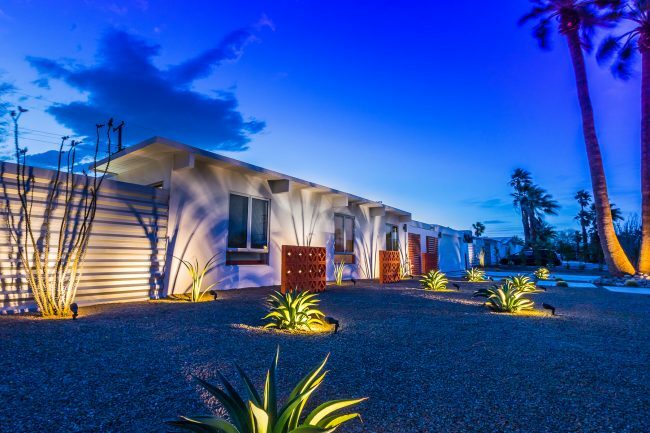 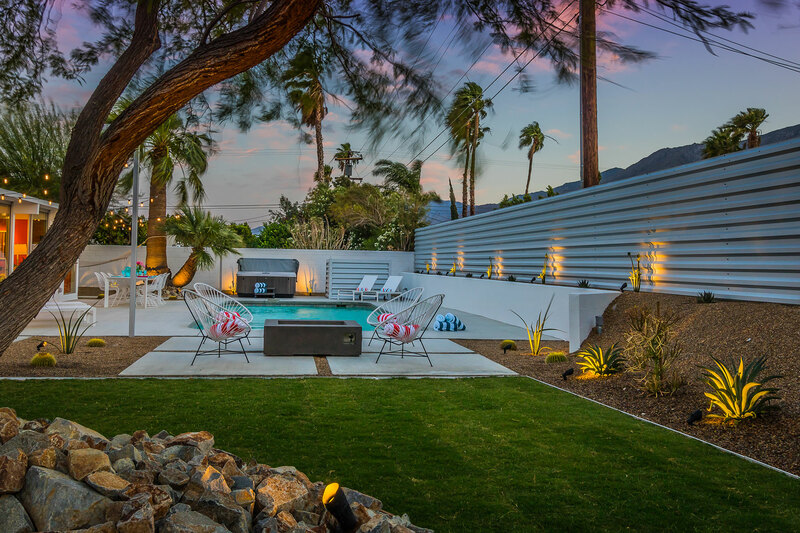 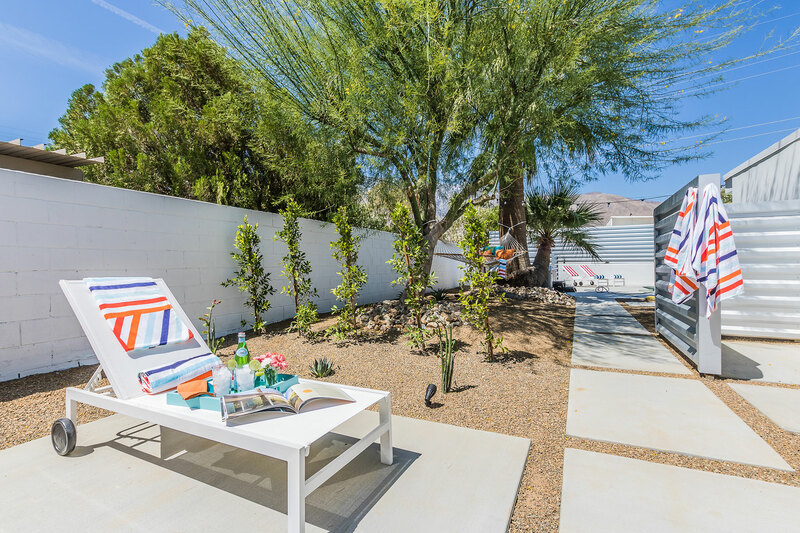 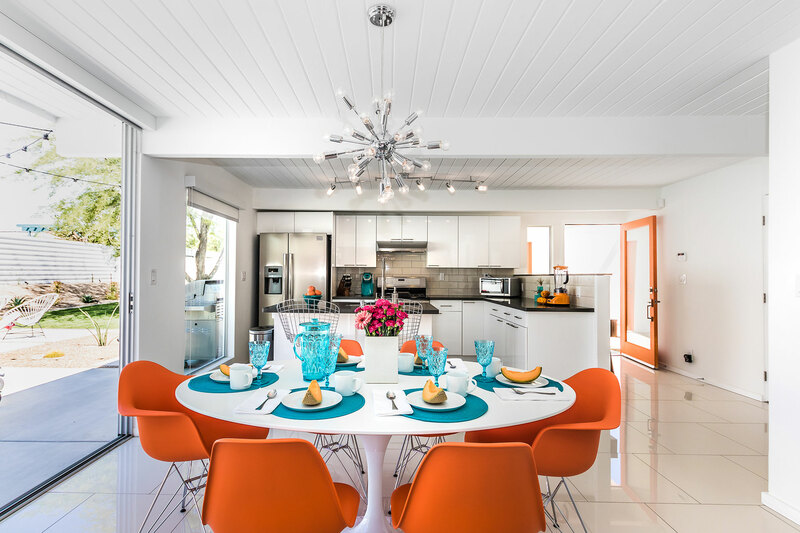 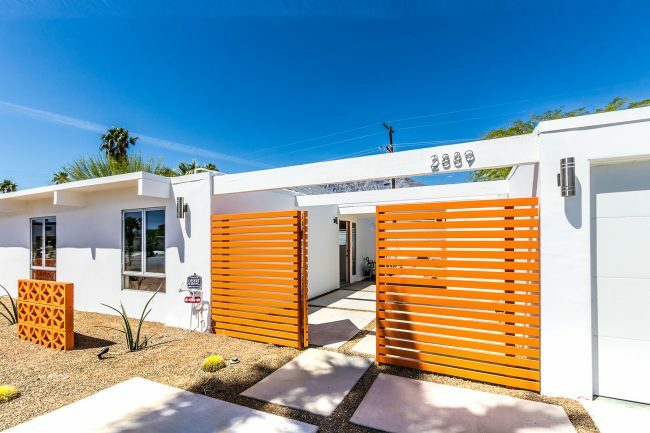 Welcome to Splash Pad Palm Springs, the coolest vacation rental home to hit the Coachella Valley! 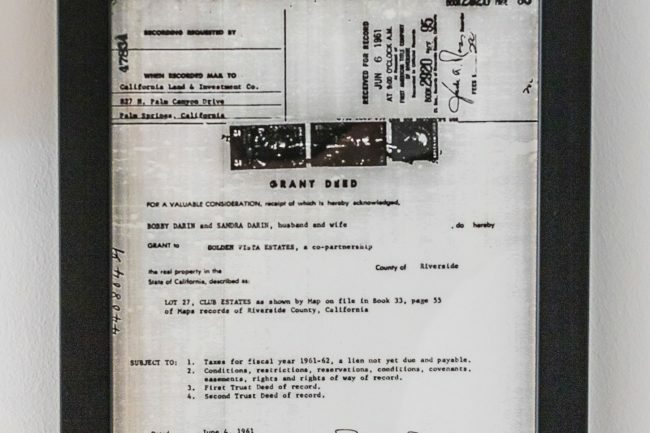 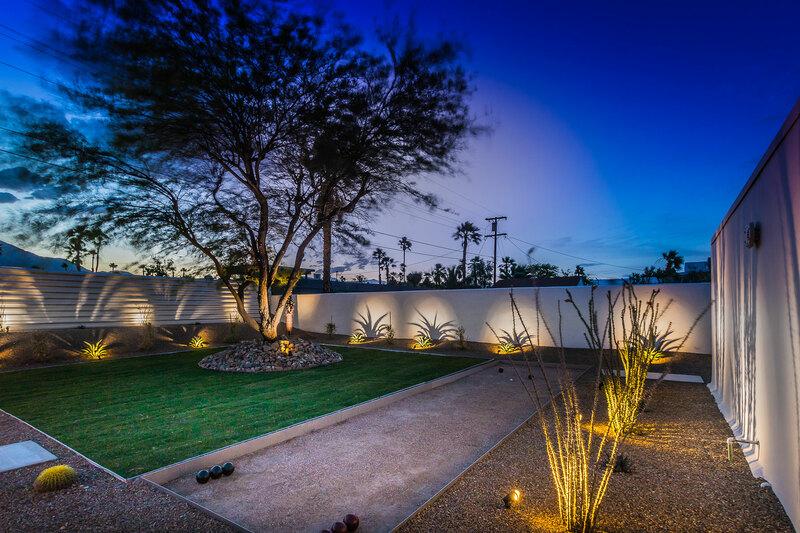 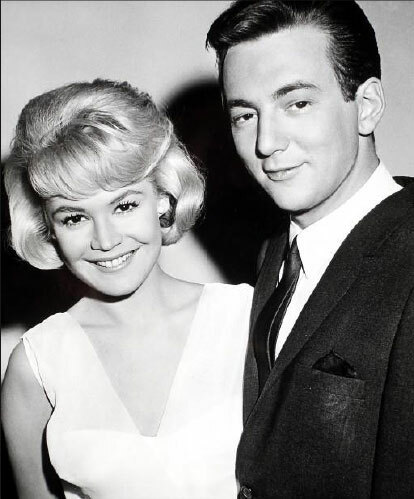 Originally the desert retreat of screen star Sandra Dee (Gidget, Imitation of Life) and music legend Bobby Darin (Splish Splash, Dream Lover, Mack the Knife), this spectacular home in historic Racquet Club Estates was designed by renown architect William Krisel and built in 1959 by the Alexander Construction Company. 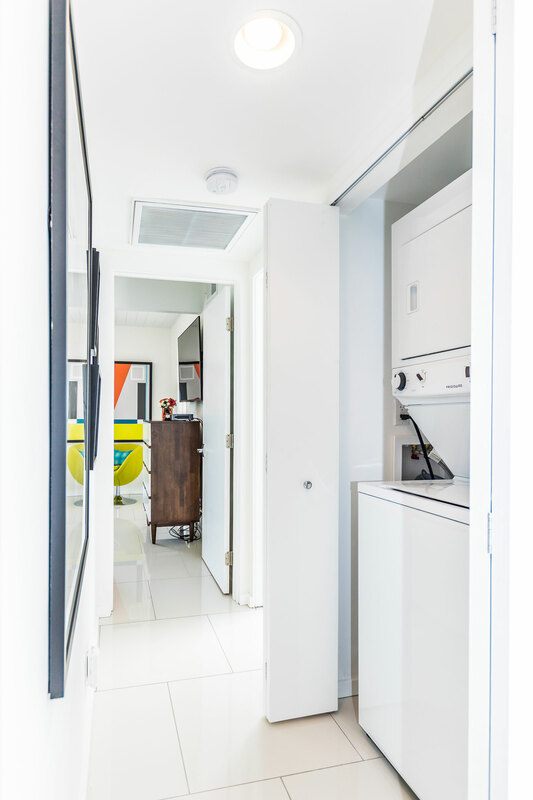 Recently renovated by mid-century enthusiasts Lance & Jamie Huante who honored Mid-Century Modern standards and commissioned nationally-published interior designer Christopher Kennedy for a quintessential interior aesthetic, this home is the perfect backdrop for a flashback trip to Palm Springs with all the modern conveniences. 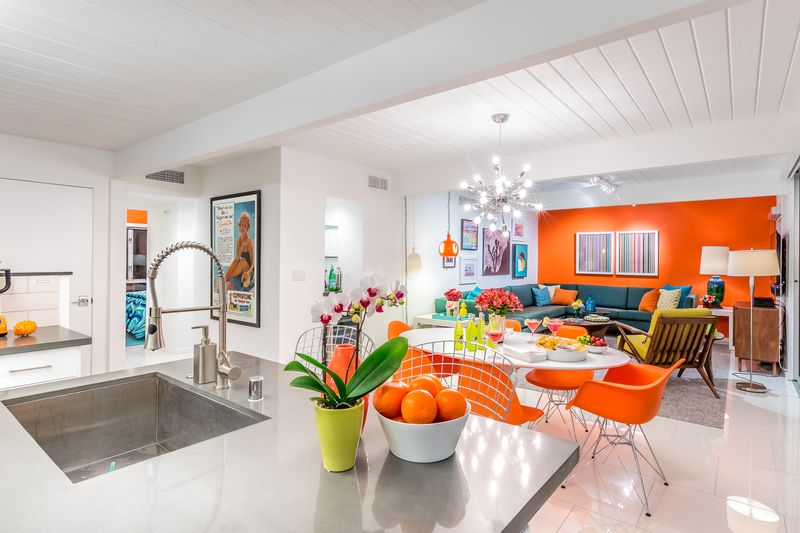 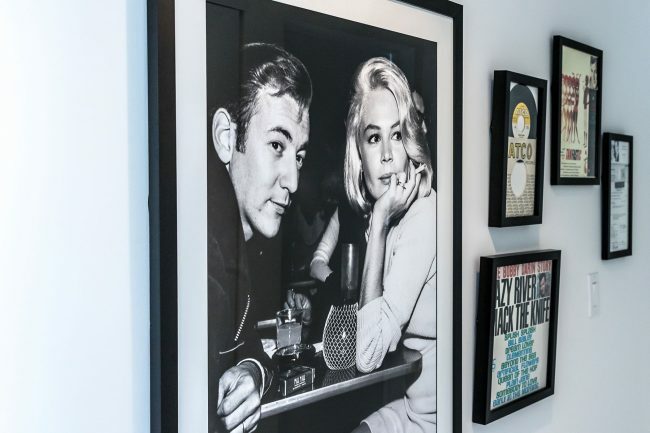 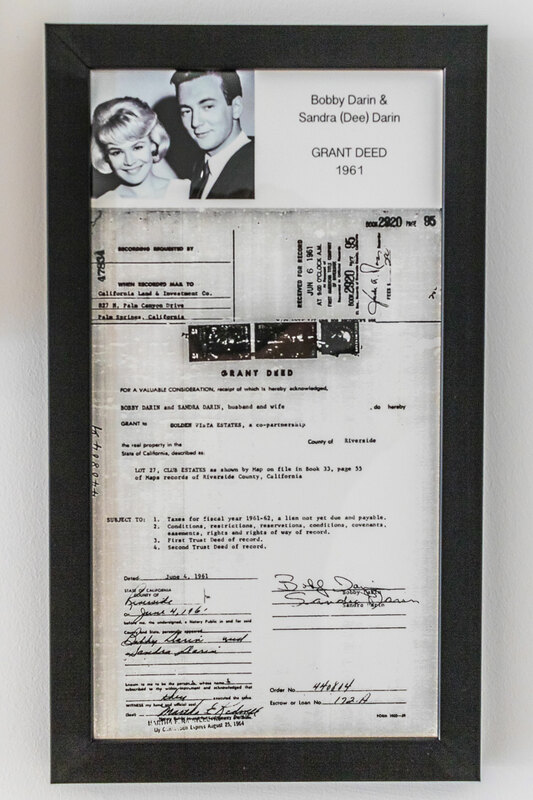 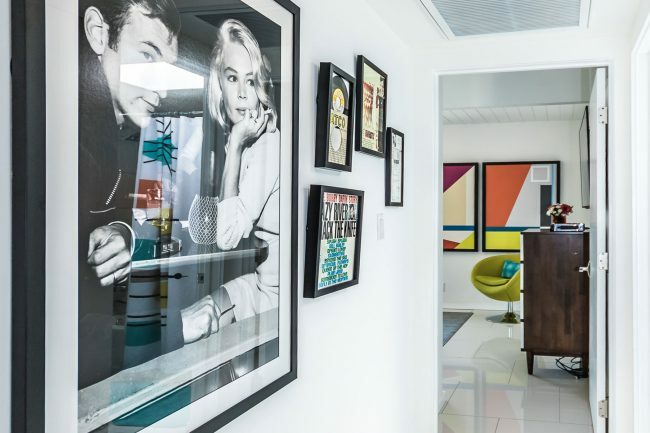 The colorful redesign captures the essence of the home’s heyday in feel, color and texture, punctuated with memorabilia and reminders of its Hollywood pedigree. Managed by Relax Palm Springs. 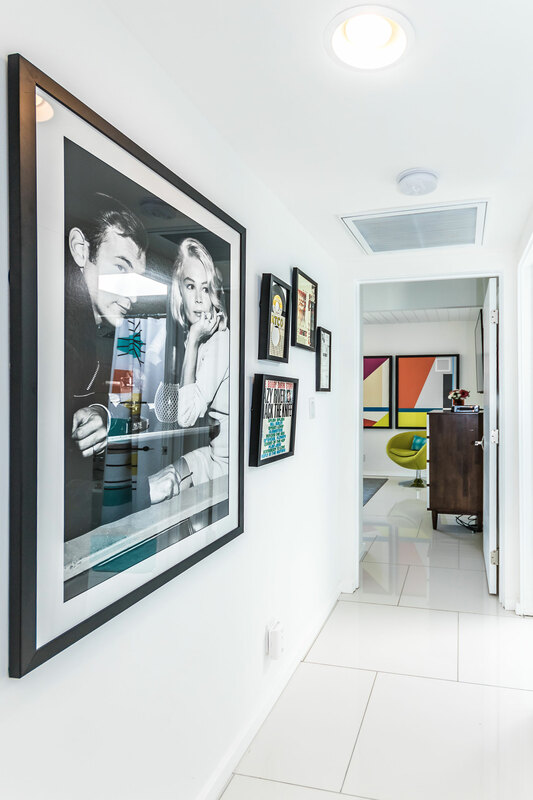 Photos by Benjamin Veronis.